This increasingly popular natural area, which until recently was an active Girl Scout camp, has more than 9,000 feet of water frontage on Long Lake and two undeveloped inland lakes. The gently rolling trails here wind through beautiful forest, along the lakes and through open fields, making this a great spot for a hike in all seasons. 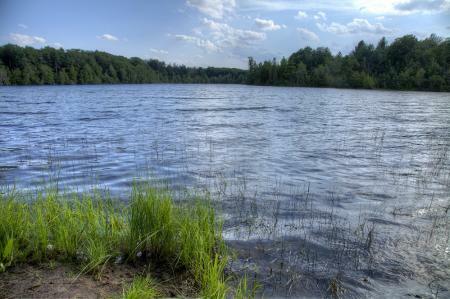 This 765-acre gem captures the essence of what it means to be “Up North” in Michigan. It’s quickly becoming one of the hottest mountain bike destinations in the state, and it’s also a wonderful spot for snowshoeing, hiking, cross-country skiing, hunting, birdwatching and wildlife viewing. The more than 30 miles of trails here are among the most scenic in the region. Because it’s only about five minutes from the heart of Downtown Traverse City, this natural area is a perfect example of what we like to call “nearby nature.” Open fields and gently rolling forest pathways greet the many visitors who come here to stretch their legs after a long day at work. 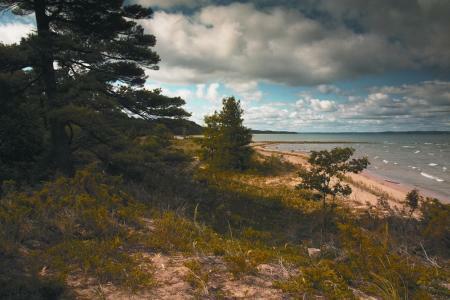 In addition to nearly one mile of undeveloped shoreline on East Grand Traverse Bay, this natural area features an incredible array of landscapes, including hardwood forest, forested wetlands, conifer swamp, shrub thicket, coastal dune and a portion of its beautiful namesake creek where it empties into the bay. A true treat for your inner naturalist! You know those sunflowers along U.S. 31 not far south of Elk Rapids? That’s the Maple Bay Natural Area, part of which remains in active agricultural production. Drive in off U.S. 31 to find a forested pathway that leads to a beautiful (and usually quite secluded) beach. 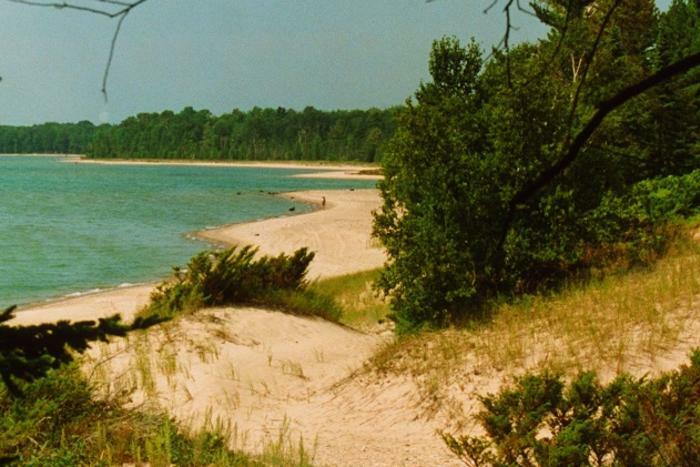 All of these natural areas were protected by the Grand Traverse Regional Land Conservancy. Be sure to explore their website’s interactive maps to find more beautiful protected land in the Grand Traverse region. 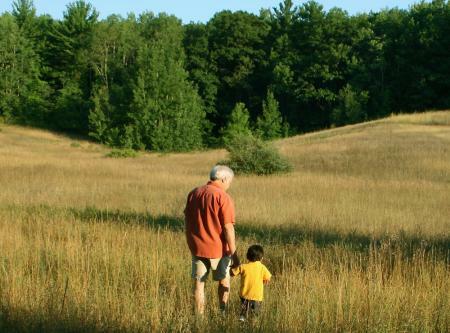 The Grand Traverse Regional Land Conservancy’s mission is to protect significant natural, scenic, and farmlands – and advance stewardship – now and for all future generations. Since 1991, the Conservancy has protected more than 40,000 acres of land and 124 miles of shoreline in Antrim, Benzie, Grand Traverse, Kalkaska and Manistee counties. The Conservancy also owns and manages 34 nature preserves which are open to the public.